Will Santa deliver a 44% rise in bonuses? Say what you like about financial types, but at least they’re optimistic: so optimistic, in fact, new research has suggested they’re expecting a 44% increase in their bonus this year. That’s glass-half-full thinking, right there. This is according to Astbury Marsden, anyway: the City recruiter reckons the average bonus will hit £167,000, or 115% of the average salary this year, up from 88% last year. Although it did rather put a downer on things by adding that a 44% rise might be erring on the side of over-confidence. The bonus question is still a little confusing: in February, the EU announced plans to outlaw City bonuses of more than twice workers’ salaries, although in December it changed its mind and decided the rules would only apply to workers earning more than €1m (£843,600). So bankers still aren’t really sure where they stand (which makes their optimism even more impressive). What’s interesting is that managers have wrung as much as they could get out of their employers this year: according to the survey, managing directors wangled an average pay rise of 29% when they moved jobs, up from 15% last year. (Cf. the Public Accounts Committee's report into the BBC's 'culture of cronyism', which meant 150 executives got £25m of payoffs over three years. At least in the City it's all about golden handshakes, rather than golden goodbyes...). Confusingly, though, although pay may be bouncing back, City job vacancies are still depressingly low. Last month research by recruiter Morgan McKinley showed the number of jobs available in November had dropped by 1.7% from September, to 7,245, 15% lower than the year before. Which explains the caution of Astbury Marsden chief operating officer Mark Cameron. 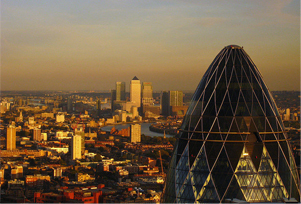 ‘City firms are showing a growing appetite for poaching the very best talent from rival firms in the last few months, suggesting that the City is now spending less time looking over its shoulder and more time investing in the best people,’ he said, before adding – less encouragingly – that ‘this is by no means a return to the aggressive recruitment market we saw before the credit crunch’.